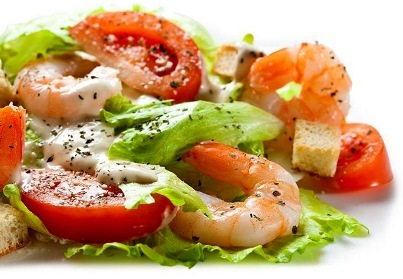 Toss together lettuce and prawns in a large salad bowl. 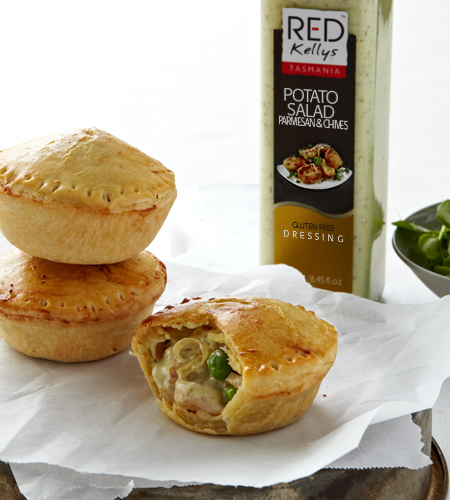 Drizzle over with Red Kellys Creamy Caesar Dressing. Top with croutons and parmesan cheese before serving. If desired, squeeze some lemon juice for added zing. Enjoy!